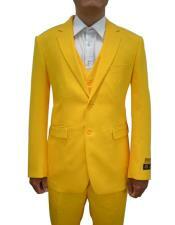 A yellow suit is a great addition to any man's wardrobe. 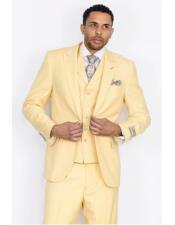 Depending on the shade, yellow suits can be either elegant or a dramatic, eye catching look. 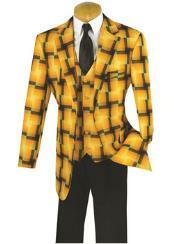 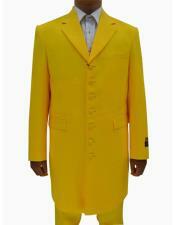 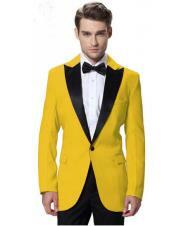 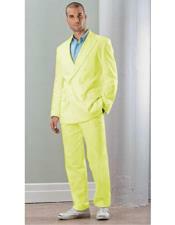 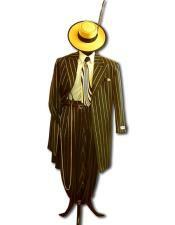 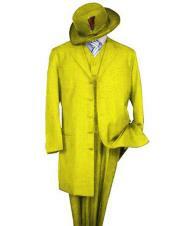 A yellow zoot suit is a fun choice for a night at a club or party. 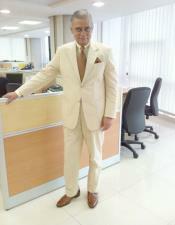 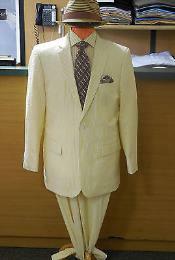 A pale yellow suit in a light weight fabric is a great choice for a party or event in the spring and summer months. 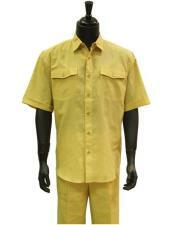 Yellow suits look great with a range of different shirt colors. 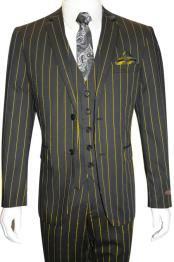 White, blue, black, purple and pinstripe are a few color options for various shades of yellow. 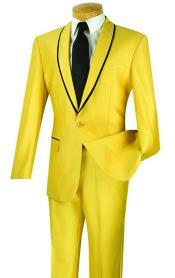 Changing the shirt and tie choice can create several different looks with a yellow suit. 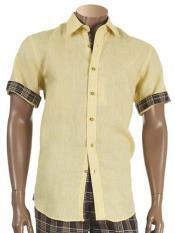 A white or light blue shirt is great for the office and bolder shades of blue or purple make a dramatic fashion statement for a party or night on the town. 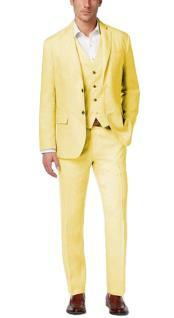 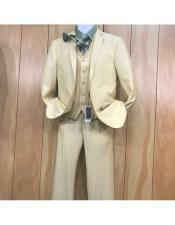 At Men's USA, we carry yellow suits in a variety of styles and shades. 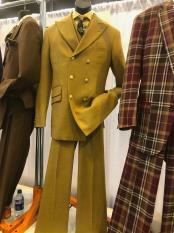 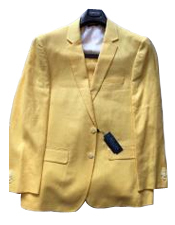 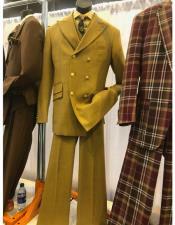 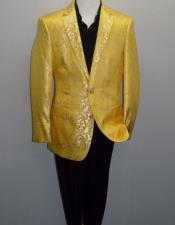 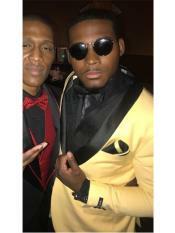 Yellow suit jacket styles available include double breasted, single breasted in two buttons and three buttons, with or without a vest and longer jackets in yellow zoot suit styles. 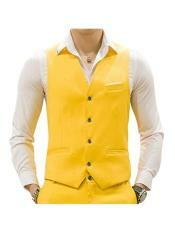 The colors vary from a pale yellow to brighter shades of yellow. 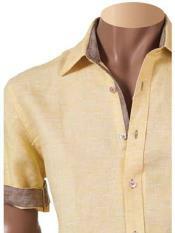 In addition, we offer more subdued shades of yellow and gold for a look that is less theatrical. 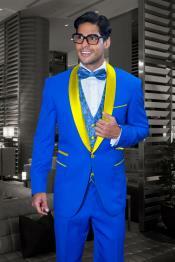 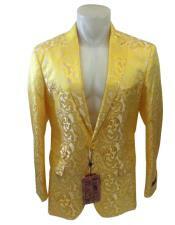 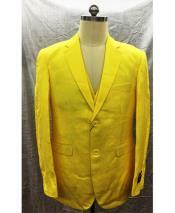 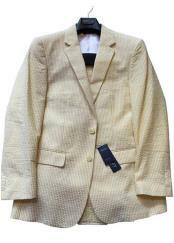 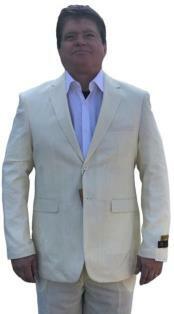 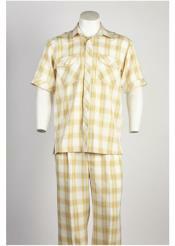 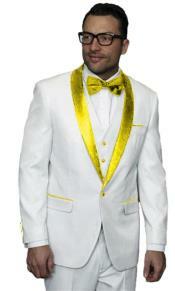 When you choose yellow suits from Men's USA, you will find quality merchandise at discount prices. 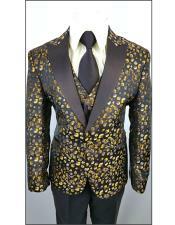 Our suits are the same quality and materials as can be found in the big design houses, at an affordable price. 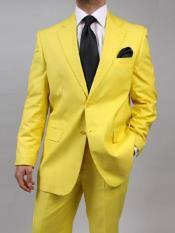 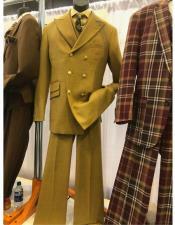 This makes building a wardrobe for work and purchasing unusual suit colors, such as yellow suits, easier on the wallet.